Oh look, here’s another one. This one only just came out yesterday in Australia. I would be lying if I said I had seen all of Martin Scorsese‘s movies, or even all of the movies that piqued my interest from him. Despite how renowned the American is as a cinematic legend, and for good reason, there are certain common traits about his movies – mainly their really long run time – that have impeded my desire to seek them out. I enjoyed his secret identity gangster flick The Departed and his unexpectedly competent, beautiful family movie Hugo, but both films caught me looking at my watch more than once wondering just how much longer I would have to wait until the next story event happened. 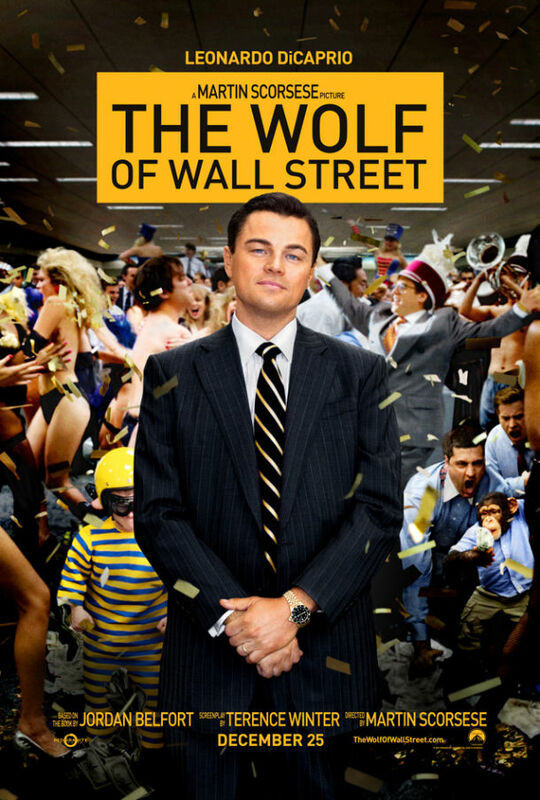 The same problem ultimately hampers his latest effort The Wolf of Wall Street – at 2 hours 59 minutes it’s even longer than any of his best-known films – even if it remains so damn entertaining throughout that it almost manages to overcome the issue. Time to get started on a new year of reviews! I’ve got a double for you to start things off. Disney is currently in a position quite unfamiliar to the vast majority of the world’s entertainment media companies, let alone one of such gigantic size. Not only does the American monolith own the wildly successful Marvel cinematic universe, which surely has to be the most fruitful gamble of the movie-making decade, but its own traditional primary animation studio is in the midst of a notable renaissance of quality. They still have the very active geniuses at Pixar in their stable, and their recent acquisition of the Star Wars license has yet to boil over into significant fanboy argument (which it will, make no mistake, once Episode VII finally comes out). So for Disney to deliver a no-frills live action film as good as Saving Mr Banks right now is a little bit ridiculous. Surely they are only allowed so much good fortune at once. We are well and truly on the ground and running in 2014! 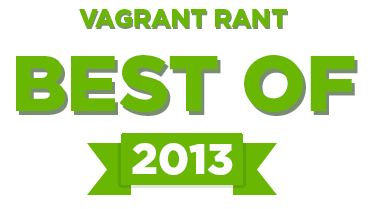 There is so much to look forward to this year, but if you missed any one of the 2013 countdown content I posted on Vagrant Rant in the last two weeks, here are the links to each and every one! Happy new year to all! 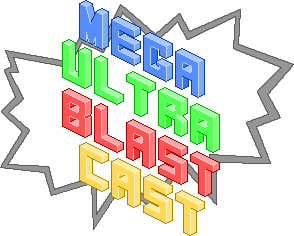 Episode 14 of the Mega Ultra Blast Cast hands out some totally significant awards to farewell 2013! We smash through our normal programming in less than an hour before devoting half an hour to giving out a handful of MUBC awards to various games and movies that impressed us in 2013. Listen to hear Delaney questioning expressions about lightning in bottles, talking up his dancing skills and comparing Disney films to cricket scores, Shane meowing and making puns a bunch of times and all of us discussing the merit of seeing Frozen more than once. We also answer a question submitted by a listener to close out the year in style! The awards start at 55:15 if you’re only interested in that. If you feel so inclined, go for a run, take a scenic drive or just curl up on the couch and play some games while you listen to the opinions of three Sydneysiders who really just want to play Samurai Gunn.